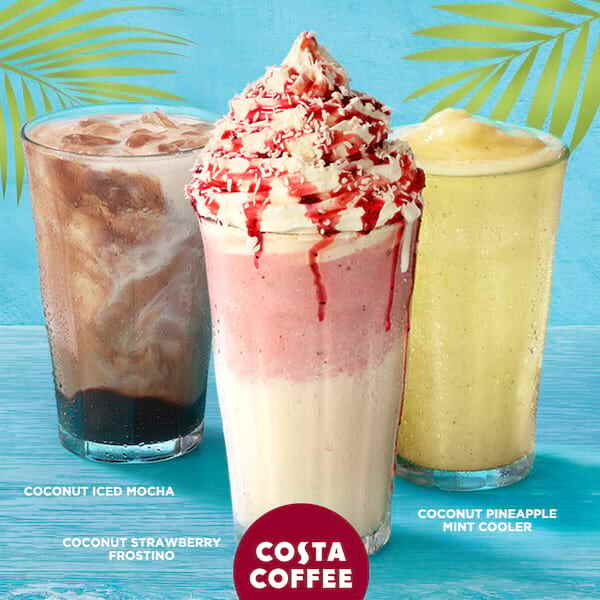 Bounce back from your holiday hangover with Costa Coffee's refreshing bevy of Coconut Drinks. With its naturally energizing benefits, these are the perfect motivation to get off to a fresh start and try something new this year – be it a coffee concoction, exercise regimen, or an exciting adventure. 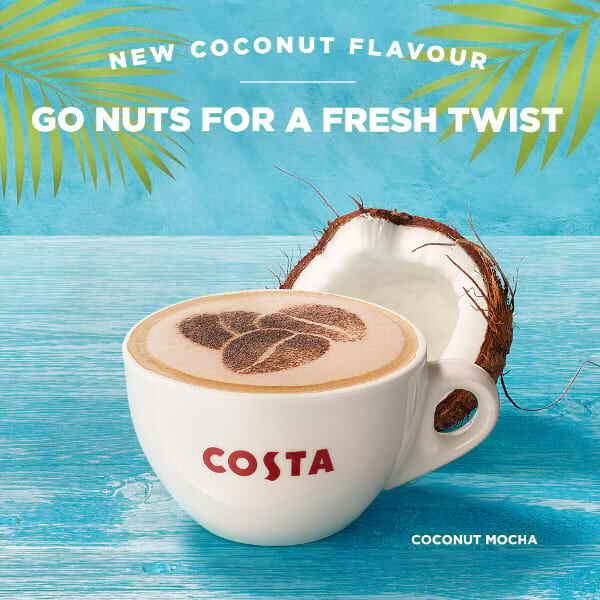 This tropical ingredient is laced on Costa Coffee’s select coffee-based and cream-based drinks, leaving a distinct coconut taste in your mouth. 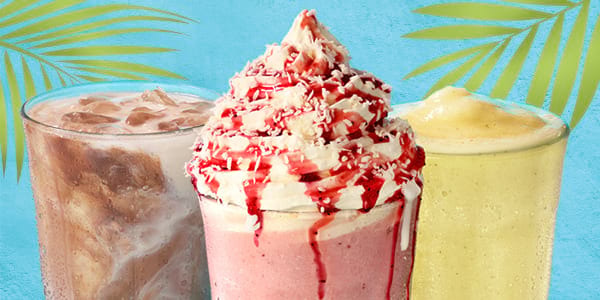 Try the Coconut Mocha (available in hot or ice shaken) for a uniquely delightful coffee & chocolate combination, or go nuts for these creamy, cool, and refreshing Coconut Strawberry Frostino and Coconut Pineapple Mint Cooler ice-blended drinks. Along with its range of Coconut Drinks, Costa introduces a fresh and enjoyable way of eating your greens with its new Salad Sensations available on its menu. Best paired with Coconut Pineapple Mint Cooler is the zingy Pomelo Cranberry Salad with fresh mesclun, pomelo, beet root, cashew nut tossed in cranberry dressing. 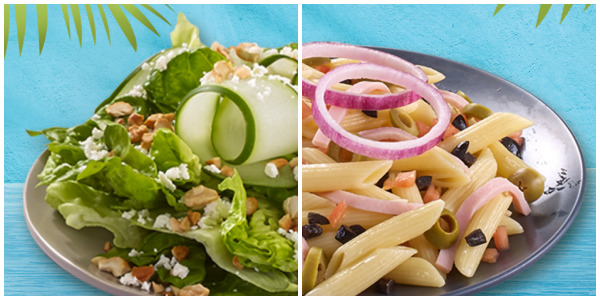 Have a light lunch of Cucumber Mediterranean Salad – crisp romaine lettuce, cucumber, feta cheese and cashew nut tossed in honey and olive oil dressing – with your Coconut Strawberry Frostino, or go easy on carbs with Italian Penne Pasta Salad with slices of ham, olives and onion tossed in lemon basil dressing and pair it with Coconut Mocha. Costa Coffee is at Citywalk 1, Eastwood; Robinsons Place Manila; Tera Tower, Bridgetown; Robinsons Place Antipolo; The Block, SM North Edsa; Robinsons Selections, Venice Grand Canal; Robinsons Supermarket, Robinsons Galleria; UP Town Center; Robinsons Equitable Tower; Robinsons Galleria; JP Morgan Chase & Co, Net Plaza; SM City Manila; Robinsons Summit Center; Robinsons Supermarket, Robinsons Place Manila; Cyber Sigma, Taguig & Robinsons Magnolia.